Slashdot links to an an interesting article at Technologizer about Clippy, the automated assistant that former was activated by default in Microsoft Office. Clippy was perhaps the Bill Callahan of technologies: everyone who knows anything about him has a strong opinion, and those opinions tend to be negative, but true strong points keep shining through. The slashdot writer is guilty of the same dogmatism that he accuses Microsoft of. Research into user experience (UX) is both a science and an art. It is a science to the extent it uses quantitative methods to estimate the behavior of a population. So, for instance, when Microsoft applies multivariate regression functions to anonymous user-experience data to determine the relative learning curves of potential changes among different personas of users, it is engaged into scientific UX research. Likewise, when Microsoft conducts ethnographies, case studies, and interviews to understand the phenomana embedded into its software (such as affective UX), it is engaged in an artform. Both science and art go far beyond what “everyone else” realizes. Indeed, the explanation of variation (the science of UX research) and the understanding of experience (the art of UX research) exist to help make software better than if the designers were stuck with what “everyone else” knew. Like anyone in the computer science community, I have strong opinions of Microsoft. Windows Vista is awful. Windows 7 is pretty good. I have a feeling that the quality difference between these products relies more than a little on one decision to shortchange UX research, and another to look at it seriously. Extra credit: What aspect of UX research is ignored in this presentation? Which is focused on? Russia, meanwhile, is reeling from the fall from more than $100 in the price of crude oil since a peak last summer. Gazprom is deeply in debt even as the market is moving against Russia in a serious way. While still high today, natural gas prices will inevitably fall and further wallop the Russian economy that is reeling from the sharp drop in the country’s other pivotal export, crude oil. Natural gas is pegged to the price of oil, but with a six month delay. Gazprom is still receiving payments linked to last summer’s historic spike in oil prices, but they will decline sharply after the second half of 2009. If this is true, Russia’s crushing collapse back to earth has barely begun. We may even see a second debt-default by Russia. While Putin ousted Russia’s “Deng Xiaoping” and aborted efforts at reform, the basic problem that Russia has is that it’s too large to fit comfortably with the rest of the Central Asia states but too backwards and weak to meaningful project power on its own. 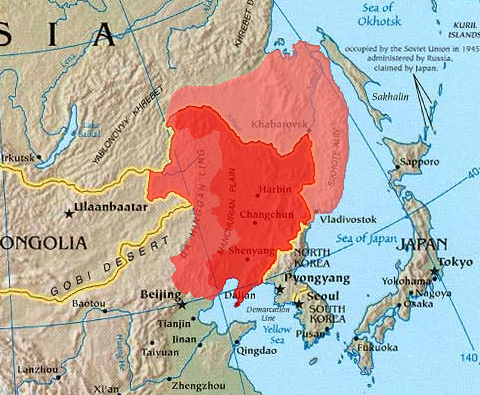 Different regions of Russia should be encouraged to fall into the orbits of different economic powers, with Outer Manchuria and beyond naturally orbiting China, while the country’s western expanse is naturally a slightly bigger version of Poland. Further, alternatives to the Russia’s wealth (oil and natural gas) should be developed. Domestically, this means pushing forward on congestion charges, biodiesel, fuel cells, and other technologies. In Europe, China, and Japan, it means encouraging our allies to reduce their consumption of oil and natural gas in ways that work best for them. 2008 was a wake-up call: we saw what happens when Russia thinks she is strong. It’s time to guarantee that will not happen again.